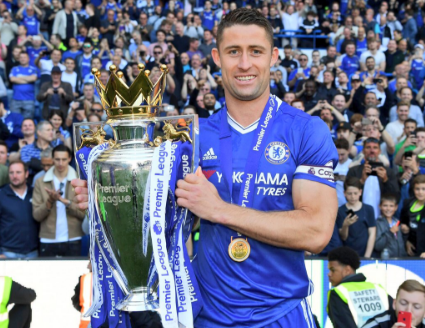 The famous player, Gary Cahill was born on 19th December, 1985. His full name is Gary James Cahill He was born and raised in Dronfield, city of England. He is the son of Hughie Cahill Gary and Janet Cahill Gary. His nationality is England. His astrological sign is Sagittarius. He was brought up by his parents. From the childhood, he had very keen interest in Football. He got to join his first club when he was just age of 15. 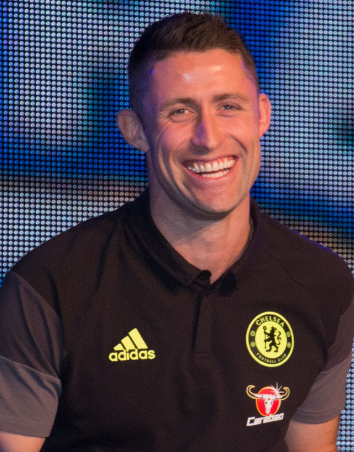 Cahill started his journey to the football career with AFC Dronfield, a Sunday League team. He played in this team until he was 15. Then, he started his career as central midfielder and moved to centre back. Till 2004, he played in this club. By 2004, he was sent to Burnley on loan where he began his senior career by playing till 2005. And then, he was moved again on load to the club named Sheffield United where he played from 2007 to 2008. The club, Bolton Wanderers was impressed by the game played of Cahill. On 30th January, 2008 he joined the club for three and a half year deal. And then he made his debut for this club with the victory score of 0-2 over Reading football club after three days of joined. He also scored on the opening day of the 2011-12 Premier League season against the club, Queens Park Rangers at Loftus Road with the victory of 4-0 on 13th August 2011. After the appearance in 130 games and kicking 13 goals he made his next move to Chelsea for a fee of £7 Million in 2012. He led the Blues to win the FA Cup against Manchester United by the end of the 2017/18 season where he had already played 189 games for the club, scoring 13 goals. Till now he is in the same club, Chelsea. With Bolton Wanderers club, he also won the players' Player of the year in 2009. Along with this, he has won many trophies including UEFA champions League, UEFA Europa League and many more. Cahill was called up for the Squad of England on 4th June, 2009 for the match against Kazakhstan. On 29th March, 2011, he made his first start for the national team against Ghana in a friendly match ending with the tie game of 1-1 score. He also became eligible to play for the Republic of Ireland. On 2011, 2nd September, he scored his very first international foal for England against Bulgaria in the UEFA Euro 2012 qualifying round in the 13th minute. He again scored a goal against Netherland on 29th February, 2012. He made his third international goal over Peru on 30th May, 2014. Again he was called for the 23 man England squad for the 2014 FIFA world cup, He was also captained England for the first time on 9th October 2015 over Estonia in UEFA Euro 2016. His name was also enlisted in the 23 man squad in England national team for the FIFA World Cup 2018. He played 1 game against Belgium till now without goal. Cahill is a married man with Gemma Acton in June 15, 2013. They also had two children, Freya Cahill and Leo Cahill. He is very successful in his personal life as well as his professional life. He has height of 1.93 m and weight of 86 Kg. The salary from his current club is around $7 Million. His estimated net worth is $25 Million.